Brent oil prices rose on Thursday, touching US$70 per barrel for the first time in nearly five months. The crude price has seen a slow but consistent rally from its low of about US$50 a barrel in December last year, thanks largely to supply cuts by OPEC and its non-OPEC partner Russia, not to mention sanctions on Iran. Trade talks between the United States and China made “good headway” last week in Beijing and according to the latest update, Chinese Vice Premier Liu He said a new consensus has been reached between both nations. A trade deal will end the current trade war, and will therefore boost economy, which in turn will increase demands for crude oil. However, there appears to be another factor which could push up the oil prices, if the situation gets out of control. Since the NATO-backed removal of Dictator Muammar Gaddafi in 2011, Libya is on the verge of another deadly crisis – Civil War. But with two tigers sharing one mountain since then, it’s a matter of time before the oil-rich country plunges into a war. For most of the time since the collapse of the Gaddafi regime, the tension has been building up in Libya, one of OPEC members. The Arab Spring movements which saw the killing of Gaddafi has also created two rival administrators in the oil-rich country. On one side, there is General Khalifa Haftar who controls the eastern Libya, with support from Egypt and the United Arab Emirates. On another side, there is Prime Minister Fayez al-Serraj, the internationally recognised government based in Tripoli. The two rival sides have been engaged in UN-sponsored power-sharing talks. 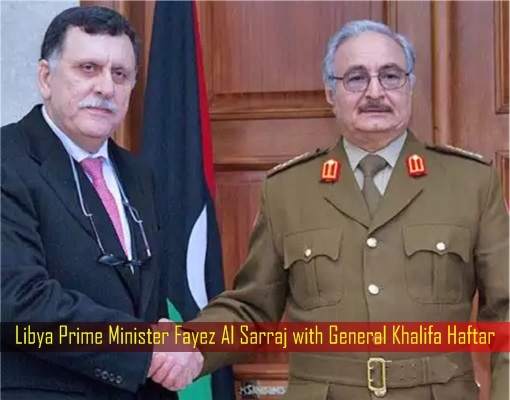 But on Wednesday, Haftar gave an unexpected order for his Libyan National Army to advance towards Tripoli, despite the presence of UN Secretary-General Antonio Guterres in Tripoli. General Khalifa Haftar was a former army officer who helped Colonel Gaddafi seize power in 1969, before falling out with him and going into exile in the US. He later returned to Libya in 2011 after the uprising against Gaddafi began and became a rebel commander. He received backing from Egypt and the UAE because of this tough stance on Islamists. The general also told his forces not to open fire on any civilians or those who are unarmed. Clearly, the intention was to seize Tripoli without resorting to violence, if possible. However, Libya’s highest religious authority has called on the public to take to the streets against Haftar’s marching army aimed at capturing the capital. Apparently, the escalating tension came as the UN is preparing to hold a conference later this month in the southwestern city of Ghadames to discuss a political solution in the form of overdue elections. However, if General Khalifa Haftar could capture Tripoli before the conference, he could declare himself as the de-facto commander in the western area, strengthening his influence and power. Haftar’s forces have already clashed with the opposing forces which back the Tripoli-based government. If the confrontation escalates, it could disrupt Libya’s oil production and exports. Since the toppling of Gaddafi in 2011, the changes in Libya’s political landscape have seen frequent attacks on oil fields and infrastructure from various groups. On Thursday, the militia loyal to the 75-year-old general said it had taken three towns on the outskirts of Tripoli – Gharyan (60 miles to the south), Surman (50 miles to the west) and Aziziya (25 miles to the southwest). He’s betting that if he could seize Tripoli, he could strike deals with other local armed groups for a common cooperation, as he had done successfully in other regions. However, General Haftar’s ambitious plan could backfire. His power grab could unite multiple regional militias around Tripoli against him. 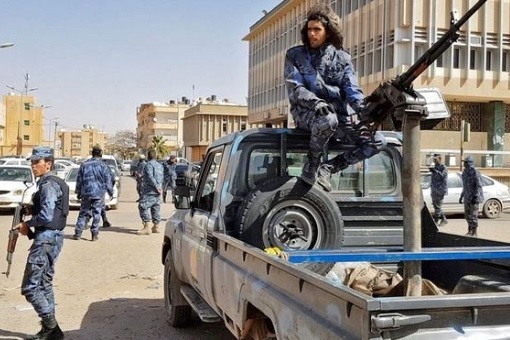 Militia leaders from the city of Misurata – the most formidable power to rival him – said that they were mobilizing their forces to Tripoli to stop him. 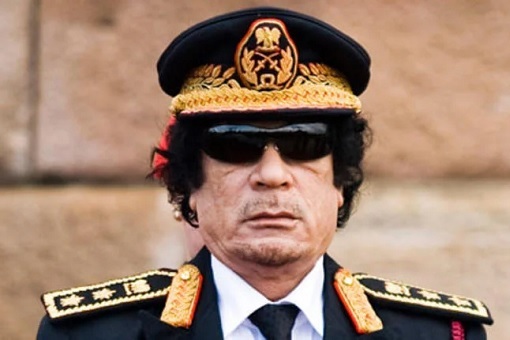 After Gaddafi, they do not wish to create another tyrant who’s too powerful to be defeated later. Interestingly, in what is known as symbiosis relationship, the Central Bank in Tripoli continued to pay salaries of public employees in General Haftar’s domain, including his soldiers, and General Haftar allowed the Tripoli government to sell oil shipped through ports he controlled. The relation broke about two months ago when his forces pushed for the first time in the southern desert. For years, Libya has been struggling to keep its oil production above 1 million bpd (barrel-per-day) compared to 1.6 million bpd before the clashes began. Due to constant clashes and attacks on its oil infrastructure, the country is being exempted from the supply cut plan engineered by OPEC to prop the global crude oil prices. A civil war will certainly make OPEC’s plan easier. 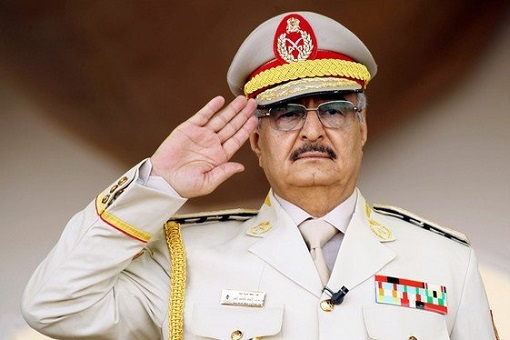 However, it’s doubtful that General Haftar is capable, let alone plans to, of launching a full-scale attack against Tripoli in order to make him as the new dictator. It would not beneficial to him to destroy the country further. 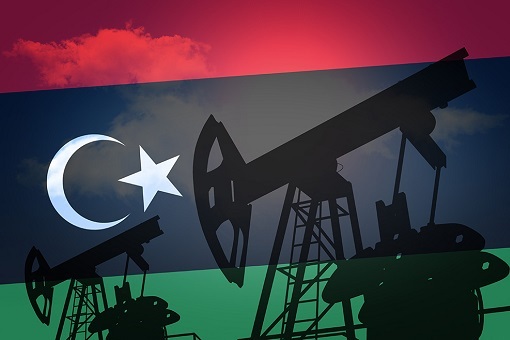 Oil reserves in Libya are the largest in Africa and among the ten largest globally with 46.4 billion barrels.